Prime Hybrid Energy Systems installed by Absolute Solar are complete energy generation, storage and active management system. Prime Hybrid Energy Systems are the next generation of renewable technologies available for domestic customers. This leading brand of advanced renewable energy generation, storage and energy management systems puts home owners in total charge of their energy systems. Prime Hybrid Energy Systems enable home owners to become grid neutral for around 8 months a year. Grid neutrality means that the Prime system balances your energy use and energy need to minimise customers energy costs. Renewable energy is currently at the mercy of the weather. Prime’ Hybrid Energy Systems changes that by putting the home owner at the heart of their energy usage. 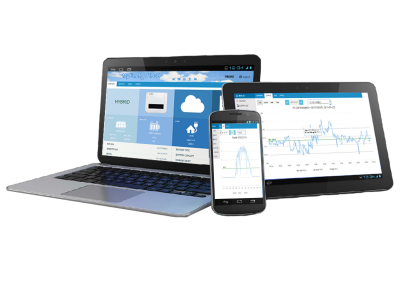 Prime Hybrid Energy Management creates and manages your energy management. The Prime hybrid energy system combines energy generation through advanced solar panel arrays linked to an innovative Prime Hybrid Inverter which connects to long-life flexible battery systems all controlled by an active monitoring system which actively manages your energy consumption through game changing smart technology all controlled at your finger tips. 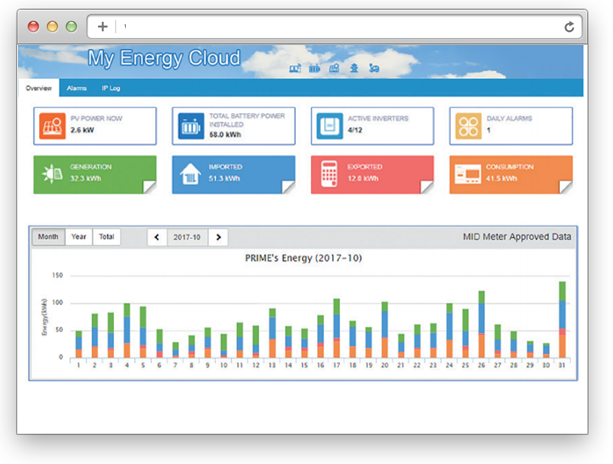 My Energy Cloud by Prime Hybrid Energy Management systems actively managing your energy usage through your online portal. The Prime Hybrid Energy System is a complete integrated award winning energy system. It generates and stores energy when it is available and releases it when required to run your home providing the lowest cost energy consumption possible. It is a completely managed system using the latest technology to actively manage and monitor the energy usage within your home. 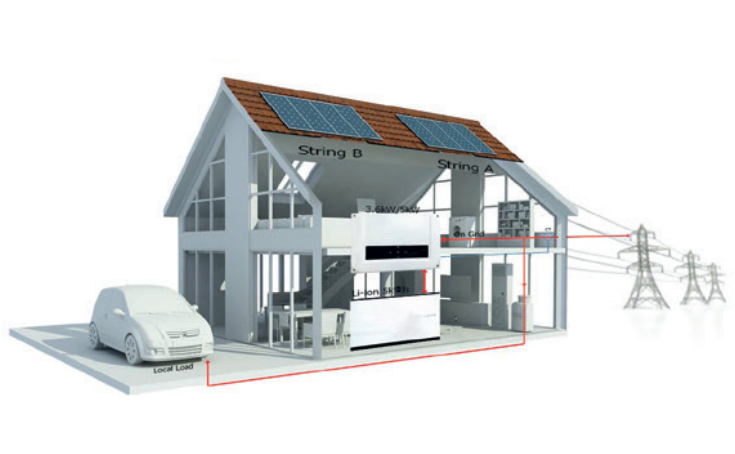 Prime Hybrid Energy Systems Integrate Energy Generation with Energy Use within the Home. 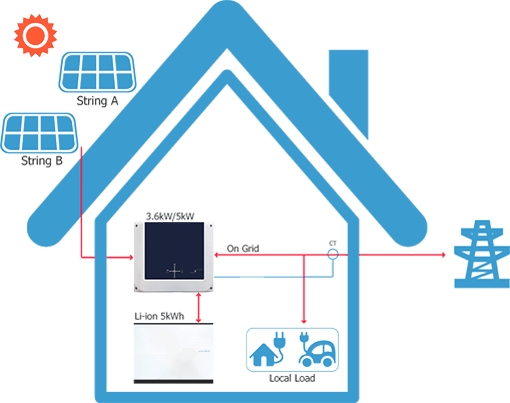 At he heart of the system is the inverter, which charges fast on demand, discharges on demand at a maximum of 2.5kW and comes complete with game changing smart technology. This dual ability to charge and discharge simultaneously to a high level of demand, enables home owners to draw down nearly all the energy stored, while the system is recharging. Simply set preferences through the user-friendly web portal, then relax as the intelligent control unit drives the technology to take care of itself. It will choose whether generated energy should be stored, consumed, or topped up from the grid, whichever will prove most cost effective. Revolutionary future-proofed design, the Prime Hybrid Inverter comes well equipped for tomorrow’s challenges. When integrated with a smart meter, it has the power to reduce load on the grid by sharing stored energy with the wider community at peak times, ready to be replace in the off-peak period as wellas maximizing grid efficiency and reducing reliance on fossil fuels, this ‘virtual pooling’ may provide anadditional income stream for the owner, reducing the system’s overall lifetime cost.